It was a big day out this weekend for Ibstock Brick Brass who took the stage at the Regional Finals in Bedworth as a First Section band. Since winning the Second Section Regional Finals in 2016 and competing at the National Finals last September, players have worked hard at strengthening and developing individual and ensemble skills in preparation for the First Section and have been committed and focused throughout the process. The First Section Area test piece, Philip Sparke’s ‘Land of The Long White Cloud’ proved a challenging and enjoyable piece, with technical corners that took some work and testing tempo and dynamic requirements. This proved to be a big learning curve for many of the players, and the band as a whole and individually rallied and worked hard to get this fantastic piece stage ready. The band has already committed to another busy year. Working with sponsors Ibstock Brick on opening their new site with a concert, the band will also be producing a brand new CD! 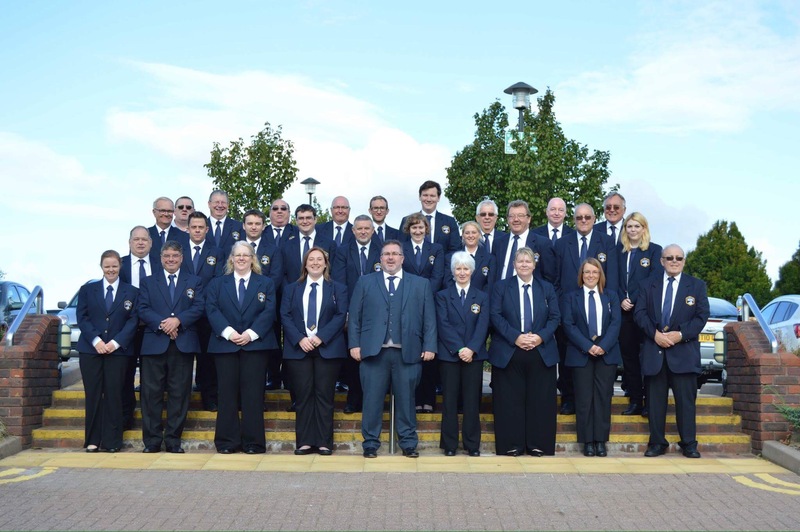 With a steady schedule of concerts starting in April and contests planned for later in the year we can expect more good things from Ibstock Brick Brass in 2017. Ibstock Brick Brass took to the stage this morning on a number 1 draw at the National Finals at Cheltenham. The band performed a calm and concise performance, with commentators noting “effective ensemble” with some fine playing with assertiveness and confidence. Star player of the day goes to Leeanne Wilkins on principal cornet, a player who is a focus of “warmth and lyricism”. MD Simon Willis stated that the “band put in a superb performance of which they can be extremely proud”. Ibstock Brick Brass have been working solidly to perfect their rendition of Images ahead of the National Finals this coming Saturday. Players across the board have shown a high level of attendance and commitment to both personal practice and focus at rehearsals which we are hoping will stand us in great stead once we take the stage at Cheltenham. As a band Ibstock Brick Brass has progressed ten-fold over the past year, winning titles and trophies both in regional contests and entertainment contests, and this is down to the confidence and nerveless nature of our players and the love of performing music together as a team. This band, regardless of results or wins, has true team sprit and this can be directly related to its success. Players always go the extra mile to help each other out and with this mindset everyone has the same goal in view: to play to the best of our ability and enjoy every moment. As our conductor expressed at last nights rehearsal, “there is no such thing as 150%, give me 100% every time”, and this is something every player will proudly do for our band and themselves. 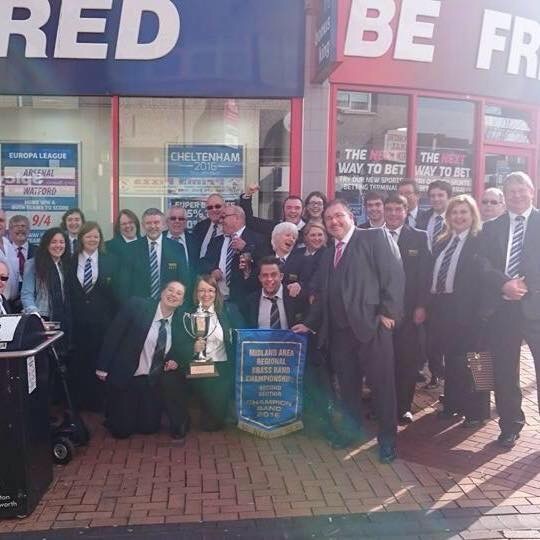 With this in mind we would like to wish all our players, and those in competing bands, the best of luck at Cheltenham this weekend, and urge you all to take full advantage of this amazing and well deserved opportunity to make some amazing memories, savour the experience and stay true to your love of playing in this crazy world we know as brass banding. Please do not forget to follow us for further updates and interesting bits and bobs on both Facebook and Twitter! Ibstock Brick Brass are pleased to announce that their new website is now LIVE!! With a brand new look and easily accessible information our followers, fans and players of the band will have immediate access to all updates and news at all times. We would like to thank our web designer Anthony Birch for all his fantastic (and sometimes late night!) work to get things ready for Nationals weekend. Author Sophie CrusePosted on September 14, 2016 September 14, 2016 Leave a comment on Brand New Website! 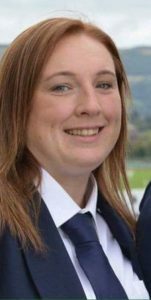 Previews and predictions have fast become available on 4barsrest.com showing stiff competition at the upcoming National Finals this weekend. The band continues to put the final touches in place in this last week of rehearsals and are looking forward to once again showing what they are made of when they take the stage at Cheltenham this Saturday. Ibstock Brick Brass would like to wish all players and bands taking part the best of luck! Last night saw all members of the band get together for a full rehearsal in advance of this weekends Finals. We are pleased with the preparation leading up to the final this weekend. If you feel like attending the event at Cheltenham, and would like to show your support towards the band then full details can be obtained here. After a fantastic summer of varied concerts and performances, fun events and personal goals, Ibstock Brick Brass have managed to hit their target for Nationals fundraising. Members of the band enjoyed a delicious Thai green curry at our very successful Dine and Donate event sponsored by local pub The Kings Arms in Coleorton. It was fantastic social evening that raised over £200. Two of our members also ran a 5k marathon with all sponsorship money going towards out cause. They did brilliantly – especially considering it was a scorching hot day! In addition to this the band held a party evening, with Soprano player Simon Wilkins entertaining a great crowd with a Robbie Williams tribute act. Included in the evening were a live prize auction which included dinner deals and even a free MOT, as well as a brilliant raffle and a few games of bingo! A fantastic evening was had by all, everyone loved the entertainment and we managed to raise an amazing £640 for our Nationals journey. Coupled with some exceptionally hard work by the band and a very generous donation from our sponsors, Ibstock Brick Brass are thrilled to be going to Nationals and are hoping that the hard work both with fundraising and commitment to the test piece and rehearsals will gain us a great result on the day. Author Sophie CrusePosted on September 3, 2016 Leave a comment on Fundraising Success!! Ibstock Brick Brass flew to victory this March to win the National Regional Championship 2nd Section title, winning not only the trophy but also a promotion the the 1st section and an invitation to the National Finals in Cheltenham come September. The band, formed in 1971 and based in Coalville, were drawn first on the day and led from the front the entire way through the contest setting the bar high for the the day. The band has seen recent successes this past 6 months, being awarded 2nd place and best soloist in October at Bolsover Festival of Music, 3rd place at Leicester contest in November and 7th place at the national Butlins Mineworkers Contest in January. The hard work of the band has paid off hugely in the past year, and the win was one that was hoped for and deserved. Spokesperson and one of the founding members of the band Dave Wright has said “We’ve built a solid playing foundation now and we felt this result had been coming for a little while” and the band is looking to achieve great things in 2016, with many community concerts coming up over the summer and a committed and hardworking attitude to getting a great result at the National Finals. 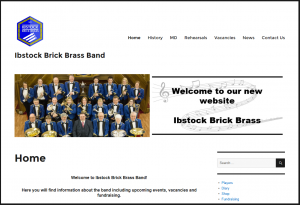 The band is sponsored by Ibstock Brick who are also thrilled with the progress and enthusiasm of the band and its players, and with projects in the pipeline this could be another exceptional year for Ibstock Brick Brass.